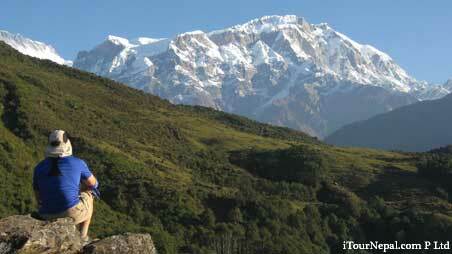 A trek to Pun hill is the most spectacular short trek in the Annapurna region. 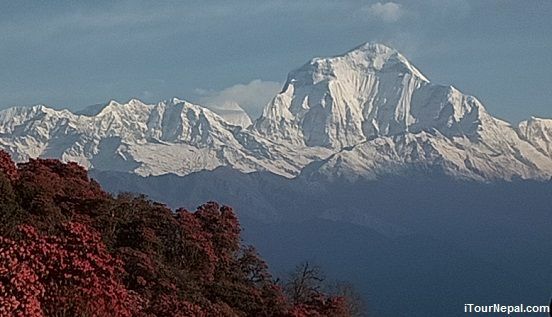 Pun Hill is perfectly positioned, 3,200 m hill with close up view of Dhaulagiri and Annapurna ranges. The sweeping view of the Kali Gandaki valley wedged between two 8,000 m peaks of Annapurna and Dhaulagiri makes Pun hill the most surreal trek. This short trek is also culturally rich with villages of ‘Pun Magar’ and Gurungs full with legends of famous Gorkha warriors. 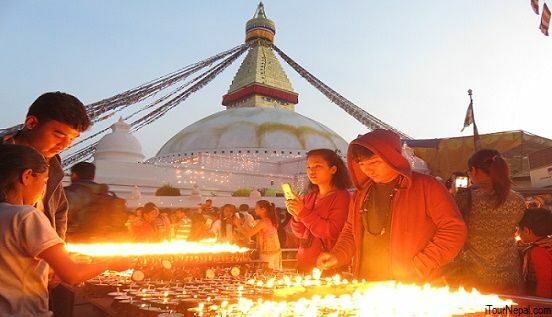 This is the most rewarding short trek in Nepal with easy access from Pokhara. March is the beginning of the Spring in the Himalayas. With the temperature warming up, Rhododendron, Magnolia, Tree Turmeric and many other blossoms make the foothills of the Annapurna filled in colors. 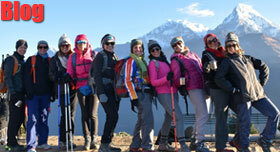 Short Annapurna trek in March is the best way to walk through Rhododendron forest and observe the Himalayan flora. Difficulty : Moderate with continuous climb of about 1,700 m within two days. 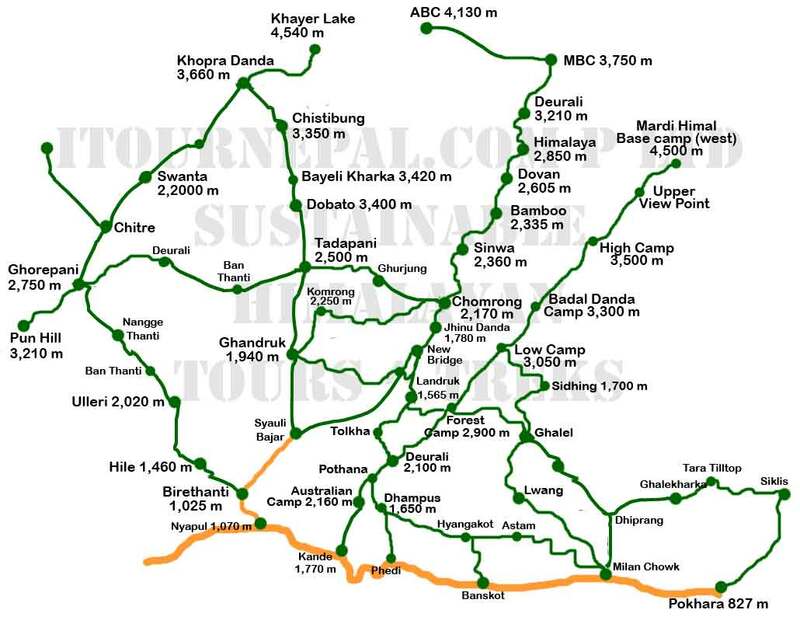 We will drive in a private car to the trekking trail head of Nayapul after breakfast. The scenic drive will take about 1 and half hrs. From Nayapul we will follow upstream Modi Khola for about 30 mints and then cross it at the confluence of Modi and Burungdi River. Follow upstream Burungdi river climbing gradually to Thikedunga at the base of steep 3,000 steps to Ulleri. This 4 hrs walking is a good warm up for the first day or you can even climb 3,000 steps to Ulleri to make the next day easier. Climbing the steep stone steps would be mild in the morning. The climb will take about 2 hrs. Ulleri is a Magar village dominated by Pun Magars at 2,100 m. From the village we will get the first view of Annapurna south and Mt. Fishtail. From the Ulleri village, the trail climbs gradually into the shed of alpine forest. The forest walk is intermediated by group of teahouses catering trekkers. Ghorepani is a mountain pass below Pun Hill, overlooking at the world's deepest valley (Kaligandaki) wedged between Dhaulagiri and Annapurna ranges. 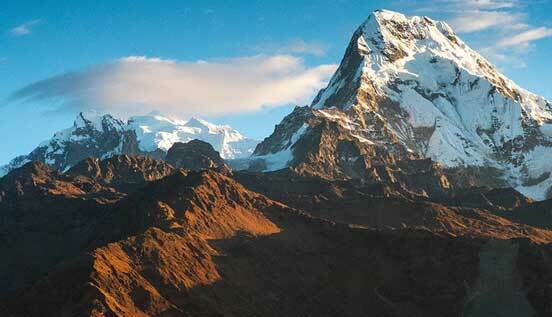 Climb down to Ghoprepani and prepare for another beautiful day's walk to Tadapani. The trail at first climbs to the ridge top towards east and then follows the ridge dense with Rhododendron to Deurali. Another three hours of walking through the rhododendron forest will take us to Tadapani at 2,500 m. From Tadapani, we have closer view of Annapurna South and Fishtail. Walk down to Ghandruk. 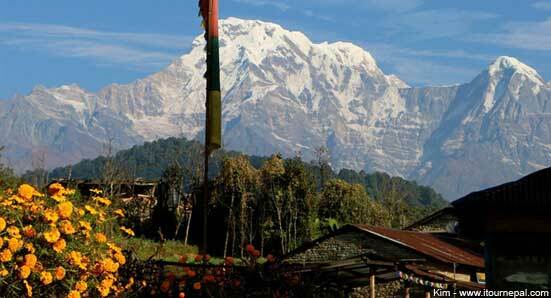 Ghandruk is a charming mountain village in the forefront of Annapurna South and Mt. Fishtail. Thatch and slate roofed stone houses dominates the village surrounded by farming terraces. This is bhold of Gurung - tribe that was famous as 'Gurkha Soldiers.' Enjoy the view of Annapurna South, Huinchuli and Mt Fishtail while having lunch and trek further down for about 1 hr to catch a ride back to Pokhara. 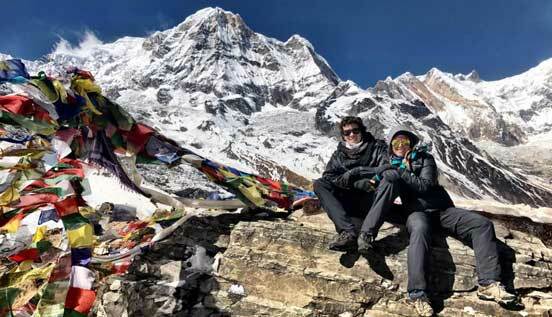 8 days, pristine & scenic short trek in Annapurna that goes off the busy trail to the Khopra Lake at 4,500 m.
Siklis village is located in the foothills of Annapurna right north of Pokhara. The village is one of the oldest and largest Gurung settlements. Short trek of 3 – 4 days could be planned visiting the view point of ‘Tara hill top’ and Siklis village.